If you are like me and wish to escape the madness unfolding in our current daily news, then I prescribe a healthy dose of animation and urge you to leave your bunker and get yourself into a cinema this weekend to check out the Animation Show of Shows. Now in its 20th year, the Animation Show of Shows continues its ongoing mission to seek out and share a carefully chosen crop of new animation from around the globe. This year, the Animation Show of Shows features 15 short films that cover a broad spectrum of styles and narratives. 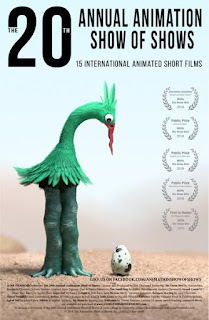 The program starts off strong with an award winning crowd pleaser "The Green Bird" which delightfully depicts one bird-creatures persistent efforts to keep its egg safe. 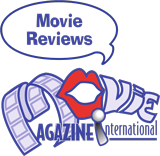 This is soon followed by director Andrew Chesworth's sweet short film "One Small Step" which warms the heart while reminding us to keep shooting for the stars. Handkerchiefs might be a good idea. 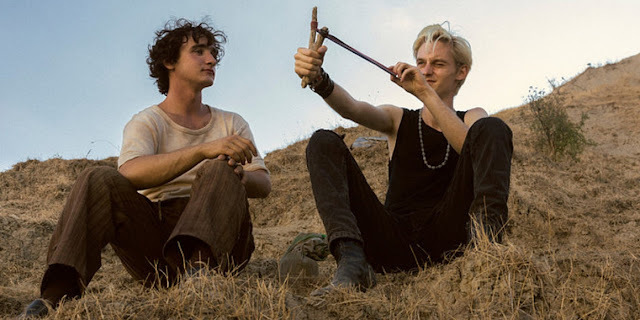 This year’s Venice Film Festival has one of the best lineups in years primarily because the competition is full of former award-winning directors that are well known. To get into the lineup without such a background is rare. It is worth mentioning that only one woman, Jennifer Kent, is among the competition this year with The Nightingale which debuts September 5. Venice did not grant women the red carpet to make a protest of the marginalization of women in the competition and festival president Alberta Barbera defers to the overall society where he believes the real problem of gender inequality lies. Several of these films will be available soon to view on Amazon and Netflix in the next months. 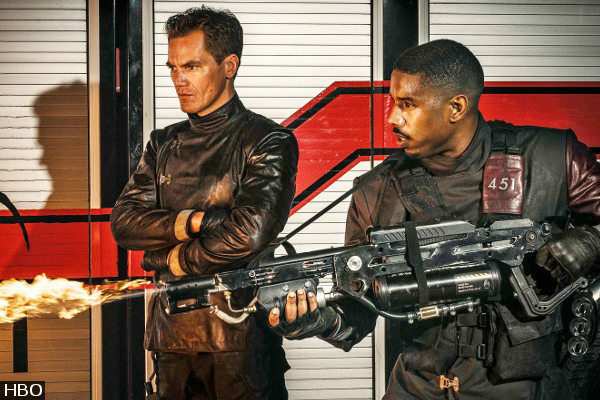 Venice has avoided the problem these streaming platforms had at Cannes in May which requires that a film be released in French theatres first before streaming or will not have a debut. 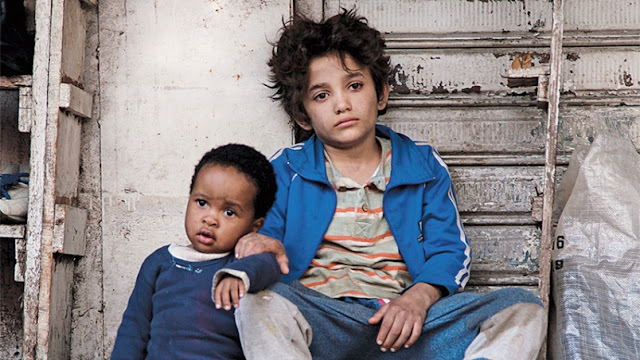 Lebanese filmmaker Nadine Labaki’s Capernaum in competition at the 71st Cannes was clearly a strong contender for the Palme d'or with powerful innovative shots by Christopher Aoun, skilled editing by Konstantin Bock and layering with a dynamic soundtrack by Khaled Mouzanar also the film’s producer. Zain (Zain Al Rafeea) is a young 12 year old boy who watches his sister Sahar married off as a young girl by his parents and runs away as protest. He is taken in by Rahil (Yordanos Shiferaw), an Ethiopian woman with a young son she treats with love and affection but when she doesn’t return home Zain finds himself becoming a nursemaid in the slums of a middle eastern city trying to find food and shelter. In inverted narrative order, we learn why he later decides to sue his parents for bringing him into the world. But Zain has an elaborate plan and his solitary actions help to create reforms in his society. 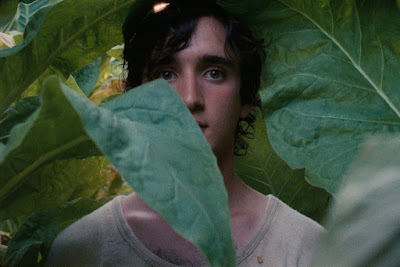 The best screenplay award at Cannes in the official selection went to Happy as Lazzaro written and directed by Italian filmmaker Alice Rohrwacher (shared with Jafar Panahi) It follows the trail of her previous film The Wonders, winner of the Grand Prix in 2014. Both films deal with a return to living conditions in rural areas in a time lapse during industrialization and are enchanting narratives. In The Wonders a young family lives off the land and harmonious raises bees even if the local authorities want to make sure the children are getting a proper education. In the Palme d'Or closing ceremony of the 71st Cannes Film festival, music from the "Wonder Woman" soundtrack accompanied almost every award given out as if the choices were made by "empowered women" not established film professionals. The jury of four men and four women led by president Cate Blanchett was called female centric. Between the protests and the awards, underrepresentation in all events poses the question why do women want to have equality in a pageant that is just not interested in them? The Fight for Inclusion is a real struggle but is it worth it?